After joining the UW-Eau Claire Advising, Retention, and Career Center as the Associate Director for Advising in May of 2017, I was seeking professional development for myself in transitioning my previous experiences as the director of a small TRIO SSS office to that of this new role overseeing a large centralized advising team at a new institution. I set my sights on the NACADA Administrator Institute in February of 2018 as the ideal opportunity for the professional development experience I was seeking. I was faced with the common issue of scarce funding for professional development opportunities that so many of us experience. My unit had funding to assist with only a small portion of this experience, so I began to seek other funding options. I applied for and received a professional development grant through my institution, but I still needed a bit more funding to make this opportunity a reality. Consequently, I applied for a professional development grant through both NACADA Region V and WACADA and was ecstatic to receive both! The NACADA Administrator Institute was held in February 2018 in Daytona Beach, Florida. I found it to be a very valuable professional experience. It’s challenging to distill the experience down to a few key takeaways, but for the purposes of this article I will isolate two. First, the most valuable aspect of the institute for me was the opportunity to network with other academic advising administrators in a small group setting. It was wonderful to process through some of the challenges I face in my role with others who have faced or were facing similar challenges for new perspectives and ideas. In addition, the institute allowed for significant small group time where each of us could focus on a specific priority or task and gather feedback from others about our progress in that focus area. I chose to hone in on training and professional development for my unit. I gathered many perspectives and future ideas for my unit and as a result we now have a training and professional development work group within the advising team to help steer future direction for team professional development and ensure this remains a priority going forward. If you’re also in a situation of scarce professional development funding, I encourage you to create a plan for your future professional development goals and look for creative funding sources like grants to pursue that plan. 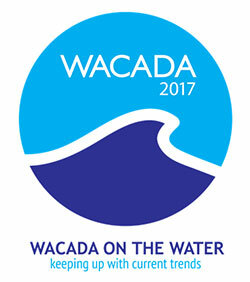 WACADA professional development grants can be found here. NACADA Region V grants can be found here. Happy grant writing!